The first TEDxFulbright event was launched at the Victoria Comprehensive Cancer Centre in Melbourne last week, bringing together a diverse group of Fulbright alums, and an intriguing array of perspectives on the theme A Certain Optimism: Changing the Nature of the Game. The concept drew directly from Senator Fulbright, a gifted statesman and the longest serving chairman of the Senate Foreign Relations Committee. He had profound influence on America’s foreign policy, and his vision for mutual understanding shaped the extraordinary exchange program bearing his name. Check out our play-by-play recap below, courtesy of the U.S. Consulate General, Melbourne. Monique diMattina,1999 Postgraduate Scholar, singer, songwriter, and radio personality, kicked things off with a friendly reminder on the perils of perfectionism, and the importance of embracing wabi-sabi – a concept in traditional Japanese aesthetics constituting a worldview centred on the acceptance of transience and imperfection. Next up was David Hobbs, 2008 Professional Scholar and lecturer at the Flinders University School of Computer Science, Engineering & Mathematics.David spoke about his work in rehabilitation engineering, and introduced his revolutionary computer gaming device – OrbIT. OrbIT aims to help children with cerebral palsy and patients in rehabilitation develop and/or restore their motor function through computer games designed to incorporate a novel therapeutic hand-controlled device (pictured). 2013 Fulbright Anne Wexler Scholar and Director of Engagement, Federation of Community Legal Centres, Melanie Poole took the stage next, making a compelling and refreshing case for a real sharing economy that supports all workers. Next up was 2016 U.S. Senior Scholar Professor Patricia Aufderheide, who spoke on her fascinating research into copyright law, how it it applied in the U.S, and how it could and should be incorporated into Australian law. Brigitte Smith, 1992 Postgraduate Scholar and Founder/Managing Director of GBS Ventures argued that we need more female medical heroes in our lives for better health outcomes. She spoke of her own personal heroes including physician and medical researcher, the late Priscilla Kincaid Smith, Queensland-based researcher, inventor and innovator Maree Smith, and Sydney-based physycian Sandra Anderson. 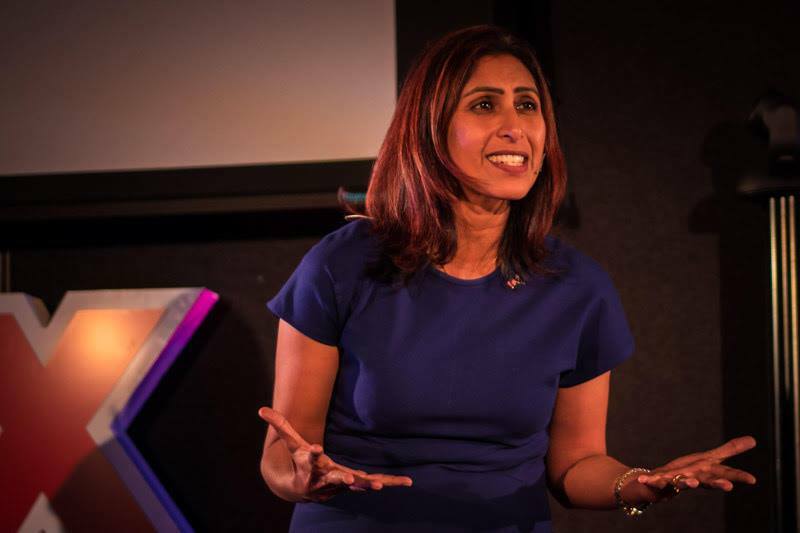 In a heart-wrenching account of her own personal tragedy, Dr. Ranjana Srivastava OAM, 2004 Postgraduate Scholar, Guardian Australia columnist, oncologist, and author, stressed the importance of empathy in doctor-patient relationships. You could’ve heard a pin drop in the room, as her captivating personal story brought the crowd to the verge of tears. 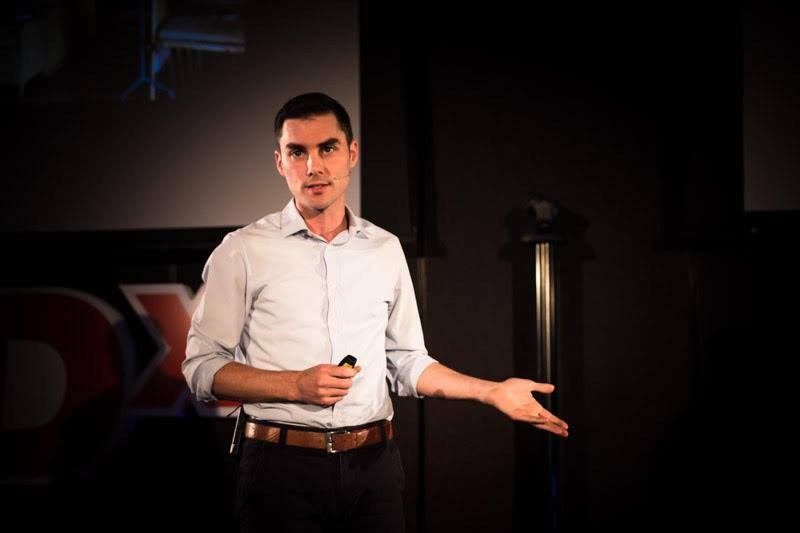 “Simple treatments are not so simple,” argued Dr. Hamish Graham, 2012 Postgraduate Scholar and researcher from The University of Melbourne’s Centre for International Child Health. 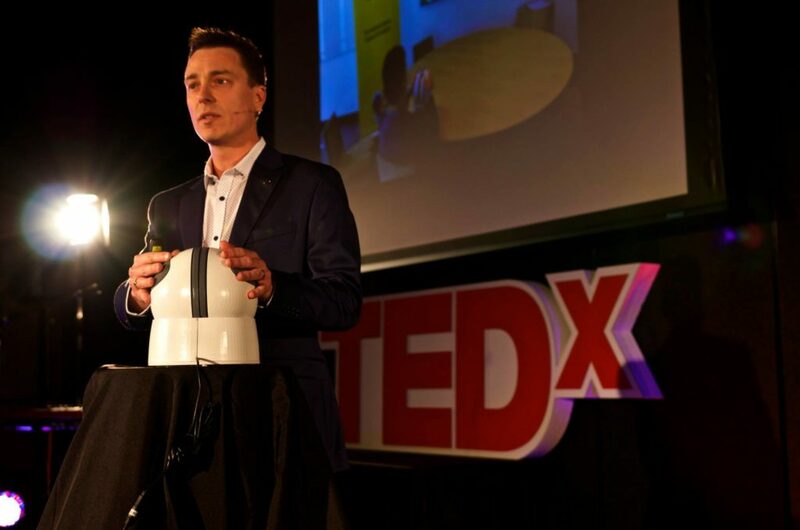 Drawing on his personal experiences administering oxygen therapy in Nigeria, Hamish asked us all to work together to overcome geographical, technical & cultural divides to save millions of children’s lives. 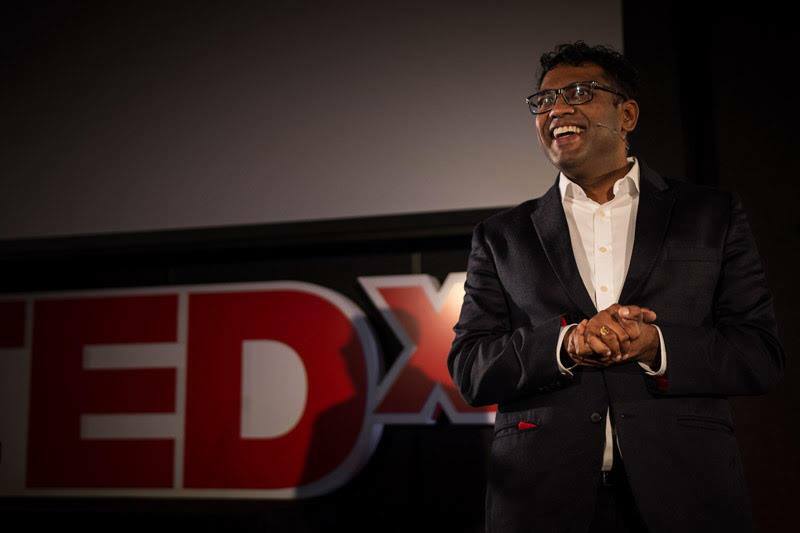 Finally, with his one-of-a-kind humor and wit, 2014 Professional Scholar, gynecologist, researcher, lawyer and Associate Professor Vinay S. Rane of Melbourne Mothers had the crowd in stitches, and convinced us all that he has the greatest job in the world – now and forever. 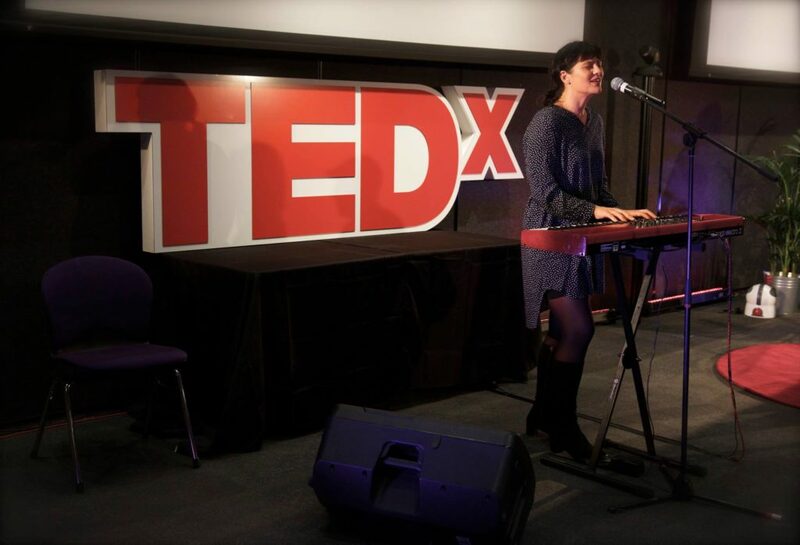 Stay tuned for the recordings of this fantastic event, and two more TEDxFulbright events scheduled for later this year, one in Canberra on 6 July and the other one in Sydney on 12 October. Follow TEDxFulbright on Facebook to stay up to date on announcements, speakers, and recordings! Thanks to all of our brilliant speakers, attendees, and special thanks to the organising team, including TEDx Licensee, Fulbright Ambassador Bill Lang, and lead organiser Jasmine Cooper-Sutton from the U.S. Consulate General, Melbourne.